International manufacturer of pneumatic valves, controls systems, and safety products for the fluid power industry. Vacuum packaging is a process where a product is placed in a bag or sandwiched in-between two sheets of plastic, a vacuum is applied to remove atmospheric air and then the product is sealed. 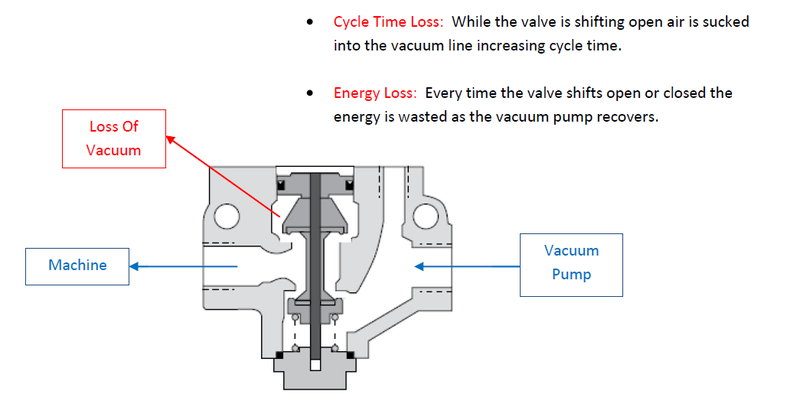 In an effort to increase machine speed, valve port sizes generally range from 1” to 2-1/2”. For more information on our company and products, feel free to visit our website www.rosscontrols.com or give us a call at 1-800-GET-ROSS to discuss your application.